Wanna be a contender? This heavyweight from the heart of Switzerland sure is, tipping the scales at 200 pounds. Made from the raw milk of cows grazing in the Alps, this is the original "Swiss" cheese (holes and all). Murray's selects wheels aged 12 months for balanced sweetness and sharpness and a long nutty finish. 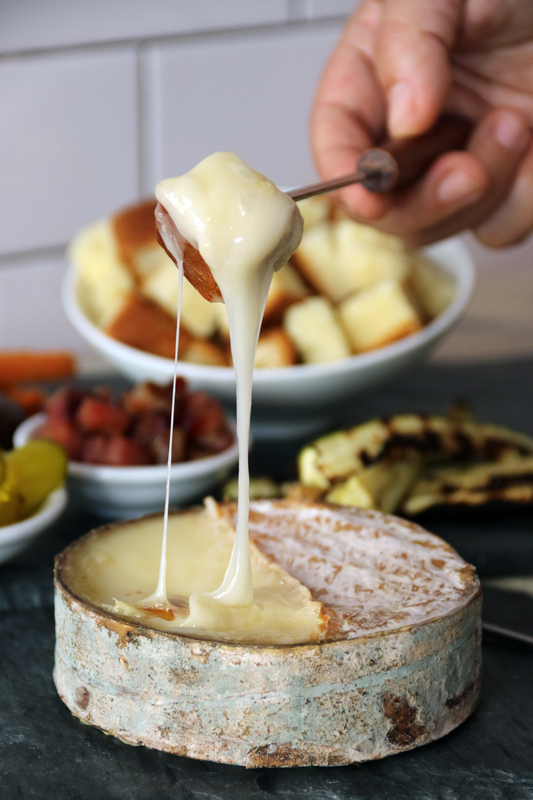 Its subtlety and meltability make it incredibly versatile'it's the perfect snack with fruit, the required base for fondue and an ideal sandwich topper. A knockout with Riesling. How Does Your Cheese Melt?